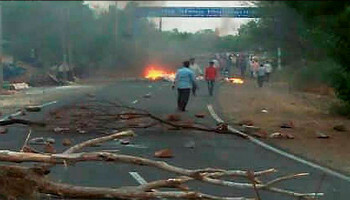 On Tuesday, June 6, agitating farmers in Mandsaur district in the central Indian state of Madhya Pradesh, who had been demanding loan waivers and better support price for their produce, were shot at by the police. According to latest available media reports, at least five of them have been killed in the firing. The All India Coordination Committee of Farmers Movement (AICCFM) strongly condemns this heinous attack on our sisters and brothers and demand urgent action against all officials who are responsible for this murderous act. We also demand that the State Government take moral responsibility and resign immediately. This is an incident that is bringing back painful memories of the Colonial era, when farmers and farm labourers were often shot at for claiming their rights. It is a pity that people who work the land and feed the population continues to be treated inhumanely and killed for voicing their disappointment with the State. Hundreds of thousands of farmers and farm workers who were forced to commit suicide due to increasing debt over the last two decades and several more millions across India who are facing a precarious and unpredictable future, exacerbated by extreme climatic conditions, have for long been demanding that attention be paid to rural distress and steps be taken to support farming families and workers. The demands of the protesting farmers – calling for loan-waivers, better support price – have been the demands of all farmers’ organisations including that of AICCFM, since a very long time and we reiterate our resolve to take to the streets if our demands are not met. AICCFM is also calling upon our sisters and brothers of La Via Campesina, the global peasant movement, to condemn and protest this brutal killing and join us in our struggle for justice to peasants worldwide.